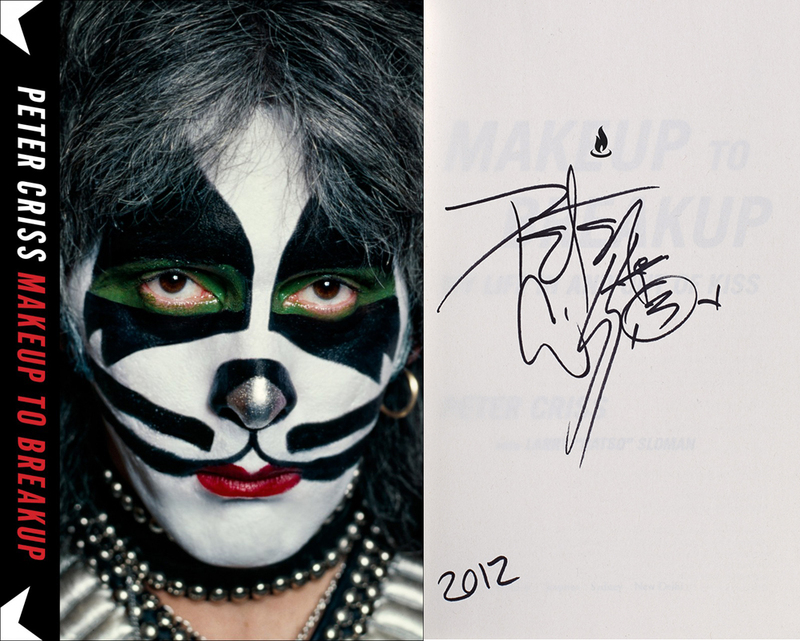 You can get an autographed copy of Peter Criss' autobiography "Makeup to Breakup: My Life In and Out of KISS" signed by Peter himself. LEGENDARY founding KISS drummer Peter “Catman” Criss has lived an incredible life in music, from the streets of Brooklyn to the social clubs of New York City to the ultimate heights of rock ’n’ roll success and excess. KISS formed in 1973 and broke new ground with their elaborate makeup, live theatrics, and powerful sound. The band emerged as one of the most iconic hard rock acts in music history. Peter Criss, the Catman, was the heartbeat of the group. From an elevated perch on his pyrotechnic drum riser, he had a unique vantage point on the greatest rock show of all time, with the KISS Army looking back at him night after night. Peter Criscuola had come a long way from the homemade drum set he pounded on nonstop as a kid growing up in Brooklyn in the fifties. He endured lean years, street violence, and the rollercoaster music scene of the sixties, but he always knew he’d make it. Makeup to Breakup is Peter Criss’s eye-opening journey from the pledge to his ma that he’d one day play Madison Square Garden to doing just that. He conquered the rock world—composing and singing his band’s all-time biggest hit, “Beth” (1976)—but he also faced the perils of stardom and his own mortality, including drug abuse, treatment in 1982, near-suicides, two broken marriages, and a hard-won battle with breast cancer.